Mark Was Determined To Build Up His Body And Put On 70 Lbs Of Muscle! Mark wasn't content with his small frame so he made the decision to go to the gym and kick it up a notch. 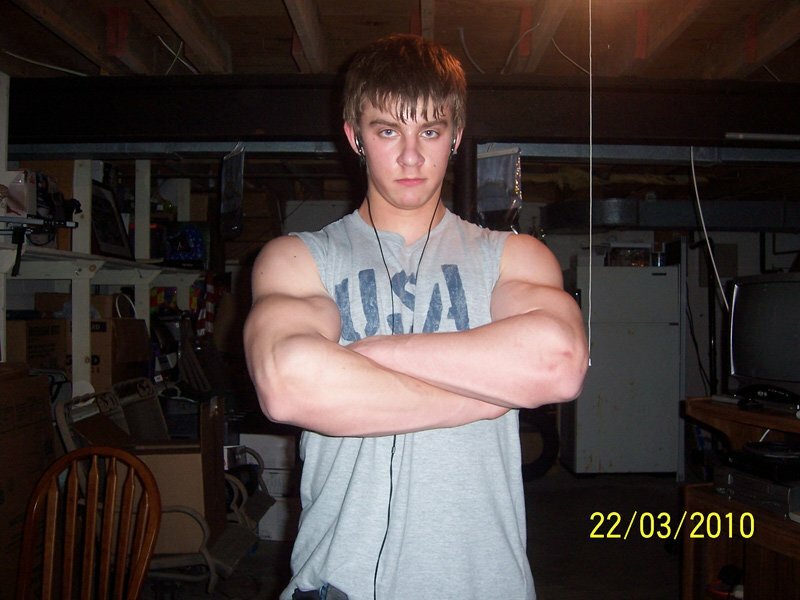 See how he changed his body and put on 70 pounds of muscle. I was never the athletic or muscular type as a kid. I began gaining some fat around 6th grade, and looked pretty bad. I was fortunate enough to have an Elliptical in my basement, so I began using it every day for 30 minutes. I didn't have a whole lot of fat on me, but I lost a good 20 pounds and began eating healthier. I was 100 pounds, but active and healthy. 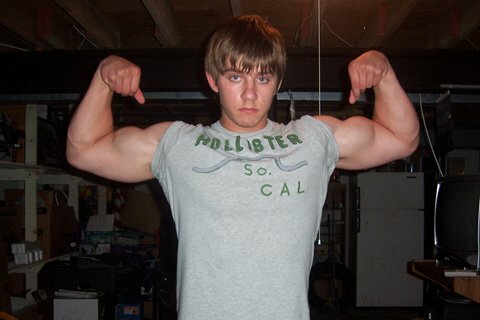 It wasn't until around 7th grade that I began messing around with my stepdad's weight set in my basement. I was fortunate to have an awesome home gym, but had no idea where to start. Like most beginners, I did curls with dumbbells, some bench presses, lat pulldowns, etc. I completely neglected my lower body and did the same routine every time I trained. I was messing around, so it was nothing serious. 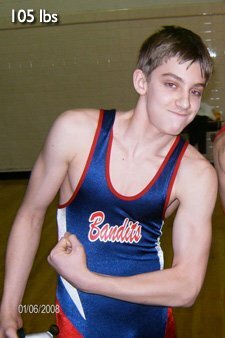 I eventually decided to try wrestling in 8th grade. But Had No Idea Where To Start. It was around this time that I received the P90X training program for my birthday. 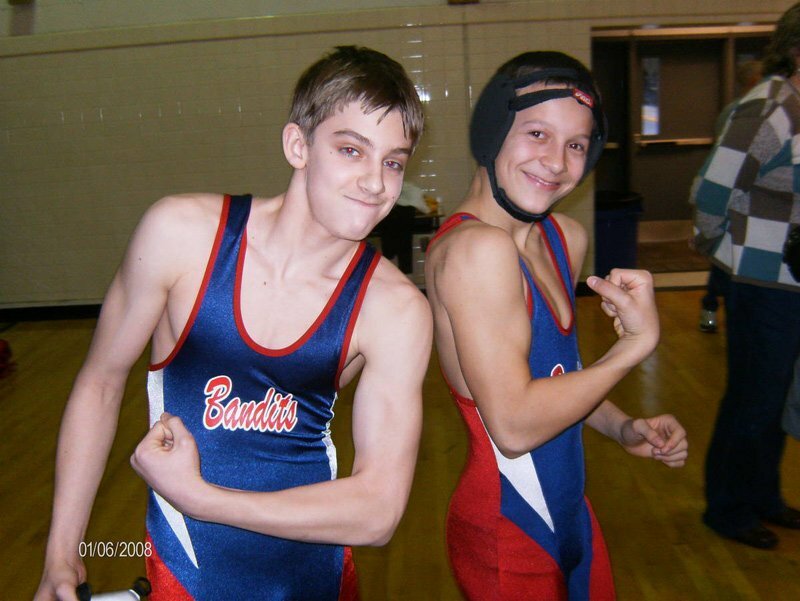 I had just turned 14 and began doing the program every day before wrestling practice. I weighed only about 100 pounds, but gained a significant amount of muscle tone. After the season ended, I continued doing the P90X training. I saw incredible results and gained about 50 pounds in a year. 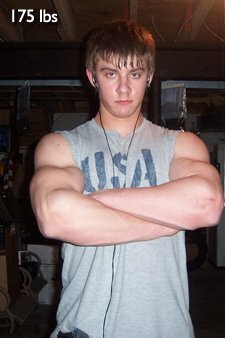 I discovered Bodybuilding.com in the summer of 08. 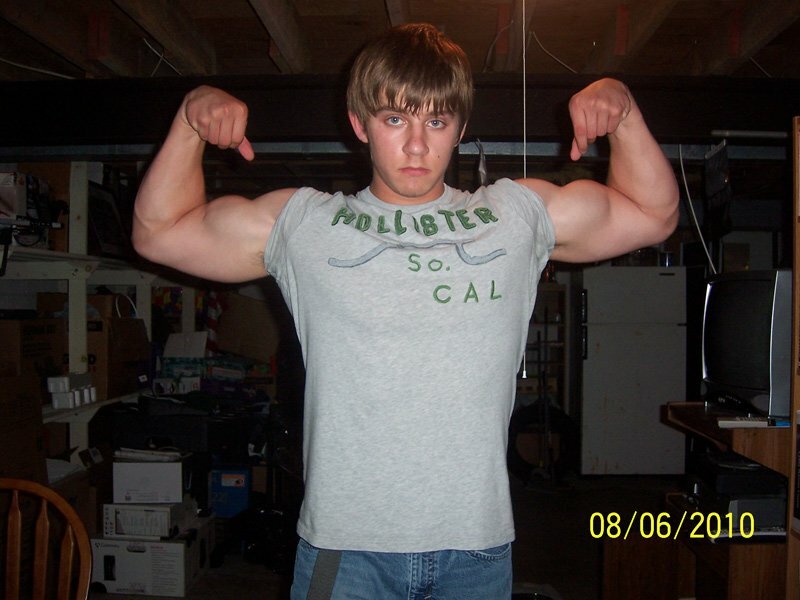 It was there that I discovered teen bodybuilding and training. I decided then that I ultimately wanted to body build. I got a gym membership to Gold's Gym my freshman year of high school and began training for the sport. I now train 4-5 days per week and stay on a strict diet. Ever since I really began training strictly, I have always had this urge to lift. I was smaller than most kids when I began, but even knowing that most were bigger and stronger than me, I always felt better knowing that I was working harder than they were with both dieting and training. Lifting just gave me a satisfaction that nothing else could. It was self satisfaction knowing I was doing something great for myself that nobody else was doing. I have always had this mindset that has allowed me to train harder than most. I'm currently doing the Training Secret, a routine developed by Chris Rademacher, that has better helped me tap into and expand this inner strength, and is showing me just how to really release my full potential. This routine I'm doing now has done nothing but open so many doors into my training, and I can't wait to see just how far it's going to take me. It's the one routine that has actually shown me how to become a better bodybuilder, instead of just telling me what to do. It's incredible! Lifting Just Gave Me A Satisfaction That Nothing Else Could. "Consistency" is truly the key to bodybuilding. The word says it all. If you stay consistent to both your training and dieting, then you will achieve success in this sport. I'm bigger than my friends not because of genetics, but because I am consistent with every aspect of my bodybuilding. It's truly the most disciplined sport in the world. You have to learn to prioritize your schedule to fit your workouts in, but it's all worth it in the end. Rome was not built in a day, and neither was your body.